A luxury cruise on a six star ship deserves an incredible destination, and few can rival the natural magnificence and historic wonders of Alaska. This fascinating region is home to breath-taking landscapes dominated by glaciers, a wealth of exciting wildlife species and a rich history spanning Native American heritage and the era of the gold rush. But which luxury cruise ship is the best for you to enjoy such a delightful location? There is no simple answer as each ship is different and tailored to a different kind of passenger. Here we’ll help you understand the options available for a luxury Alaska cruise, so that you can narrow down your choice. Still struggling? Speak to our expert Cruise Concierge on 0808 202 6105. They hold a range of personal experience on some of the world’s most luxurious cruise lines and can recommend the best one to suit you. Which luxury cruise lines sail to Alaska? Alaska is a destination best served by smaller ships, which means a lot of larger mainstream cruise lines offer few sailings in the region. However when it comes to luxury cruise lines, Alaska is the perfect destination, and so every one offers some form of Alaskan cruise. Some of these are dedicated sailings lasting seven- to ten-nights, while some are part of larger itineraries spanning more of the U.S. west coast or sometimes across to the Far East. You’re certainly not short of options when it comes to finding the ideal luxury Alaska cruise for you. Alaska is also a fantastic destination to consider our cruise and stay packages, which we can offer with any cruise line. Extend your voyage with a land tour, incorporating more time in port or even a trip on the famous Rocky Mountaineer train which carves its way through some of the world’s finest scenery. How to choose a cruise line for a luxury Alaska cruise? So how do you go about choosing the cruise line that’s best for you? For that you need to understand what to look for in an Alaska cruise, so that you pick the ship with the facilities which are most suited to your holiday. 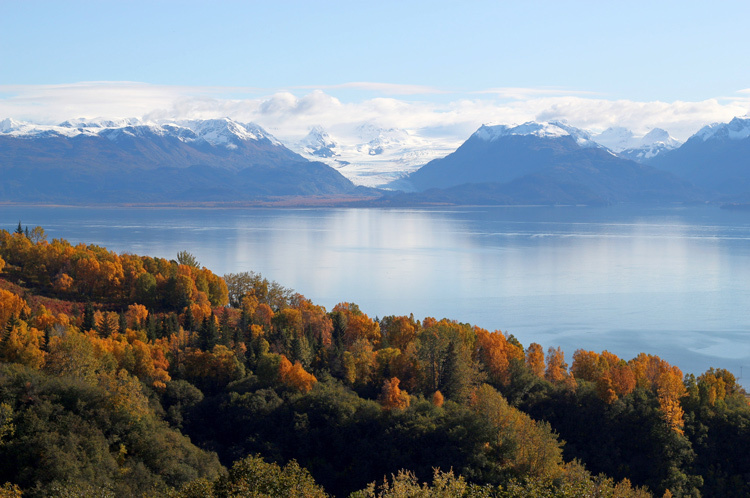 On an Alaskan cruise, you’ll want to make the most of the awe-inspiring scenery as you sail. This means ensuring you’ve a balcony stateroom or suite. 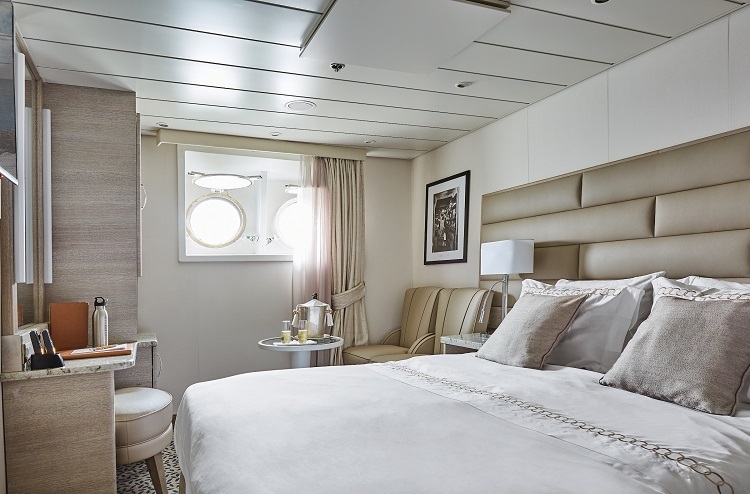 With many luxury cruise lines this will be standard but not for every one, so if you’re booking a ship that has oceanview staterooms, ensure you upgrade to make the most of the views and the crisp air from the comfort of your own balcony. One thing that is sure to happen is that, after a day spent exploring the amazing ports of Alaska, you’re going to need somewhere where you can relax and unwind. And that can vary between different travellers. It may be that you prefer sharing stories with fellow passengers over cocktails in one of the many bars on board. Perhaps you’re more interested in a massage or specialist treatment in the on-board spa? Or maybe your idea of a relaxing evening is one spent in the theatre, taking in a thrilling live performance? However you best choose to relax, your luxury cruise ship can help you recharge ready for another day of adventure. Also consider the fascinating history to discover in this wonderful part of the world. Some luxury cruise ships offer exceptional, detailed lecture programmes to help you fully understand each port you visit so that your shore excursions are more informed and you can delve deeper into the rich heritage of this region. Finally you’ll want to think about the standard of service on board your ship. While all luxury cruise ships are home to attentive, caring crew, ultra-luxury ships take this to another level. Think about choosing an ultra-luxury cruise line that offers private butler service, so that you can have your shore excursions, spa treatments and dining reservations booked for you, leaving you to focus on soaking in the marvellous scenery and atmosphere of your destination. 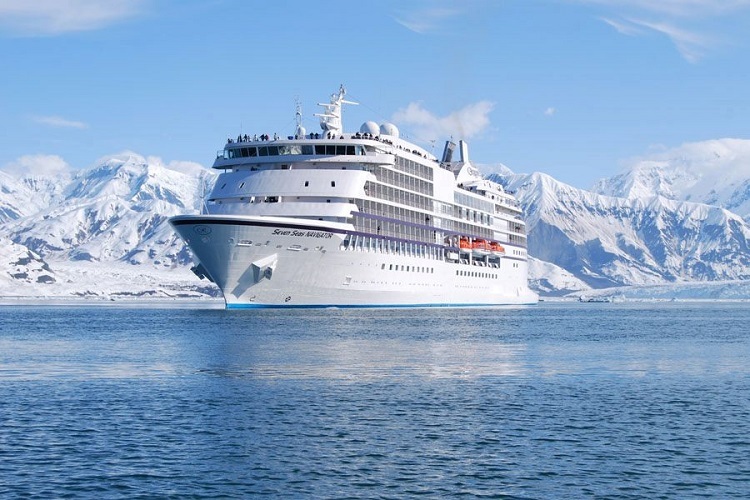 While every cruise line is different and offers advantages for certain passenger types, there are some lines that are more popular for cruises in Alaska amongst our customers. The first of these is Crystal Cruises. A classic luxury cruise line, its ships are elegant and chic, feeling exclusive and yet welcoming at the same time. With outstanding spa facilities, sumptuous dining and a vintage wine collection to choose from, you can be truly pampered as you sail through the majestic Alaskan landscapes. Crystal’s Alaska itineraries vary between seven- and 11-nights, although consider this exciting 22 night Tokyo to San Francisco voyage for a superb extended escape that incorporates the best of Alaska. Silversea Cruises is another of our more popular cruise lines for our customers when choosing a cruise to Alaska. Another of the finest cruise lines you can choose from, it offers smaller ships designed to get your closer to your destination, and ensure a more intimate atmosphere on board where every guest becomes a friend to share tales of your adventures with. Every suite enjoys butler service too, ensuring total comfort as you travel. 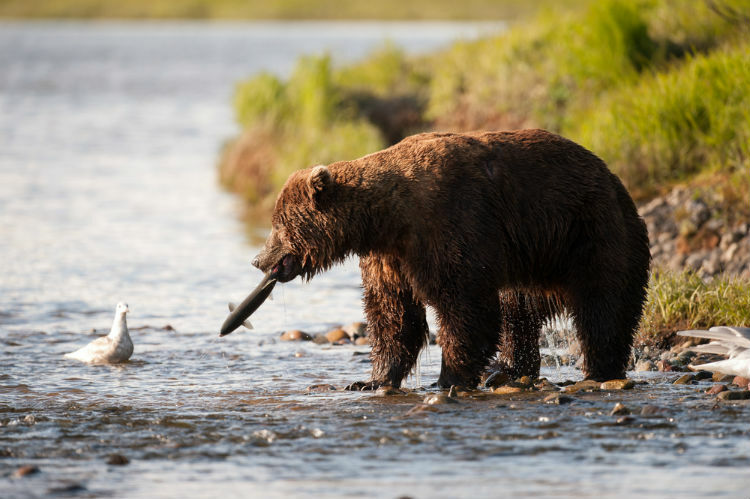 Silversea’s Alaska itineraries vary greatly, giving you plenty of choice, with this 16-night cruise incorporating some of the state’s less-visited destinations, along with fascinating eastern Russia. Finally, Azamara Club Cruises offer more of a premium luxury experience on-board modern ships. They may not quite have the decadence of the ultra-luxury cruise lines, but they offer fantastic experiences with a relaxed atmosphere. What also makes Azamara unique is their Destination Immersion concept, where you’ll enjoy extended days in port and more unique shore excursions off the beaten track – perfect for exploring the wonders of Alaska. Most itineraries last eight- to ten-nights, with this Alaska Intensive voyage showcasing the highlights of the region. Whether it’s one of these three cruise lines, or any other luxury line that best suits you, you’ll delight in the splendour of a cruise to Alaska. 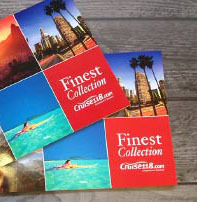 Find the best cruise line for your Alaska cruise with the help of our Concierge at SixStarCruises.co.uk. If you would like any further information about luxury cruises to Alaska, please call our Cruise Concierge team on 0808 202 6105 for expert advice and award-winning customer service with your booking. Which cruise line would you love to explore Alaska with? Have you sailed to Alaska before? Let us know in the comments below!